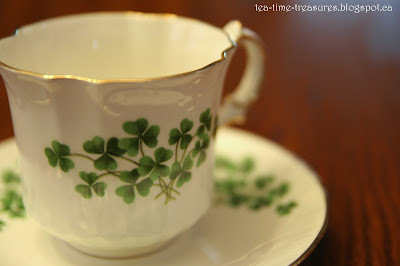 Here is the second 25 cent tea cup. I really love the detail on this one and the unique shape. Isn't the clover so cheerful? 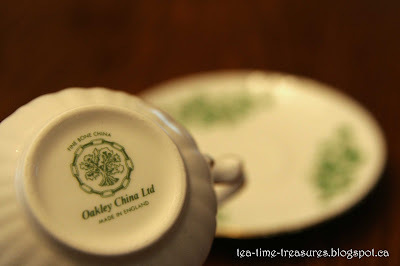 I wasn't able to find much information about this china company except perhaps they were purchased by another company in 1992. A blog about a tea cup collection and other tea time treasures!